The confluence age is the age of the meeting of the Father and the children. Today, all of you have arrived here to celebrate a meeting. This gathering is the sweet meeting of the Father and the children. Although many souls make many different kinds of effort to have this meeting, they are still waiting in anticipation, believing God to be infinite or the meeting to be impossible or difficult. They have been moving along in the hope that the meeting will take place at some point and are still moving along in that hope. There are many such souls who continue to sing songs of separation and who think that the meeting will take place some day, that He will come some day or that they will find Him some day. All of those people say, "Some day" (kab), whereas all of you say "now" (ab). They are those who are separated and you are easy yogis. You are those who experience a meeting in a second. Even now, if someone asks you when and how soon he can meet the Father, what would you say? You would say with faith and enthusiasm that it can never be difficult for the children to meet the Father. You meet Him easily and all the time. The confluence age is the age of the meeting of the Father and the children. You constantly stay in a meeting. It is a mela (meeting). Mela means a meeting. You would say with great intoxication: You call it a meeting, whereas we are constantly with Him, that is, we eat and drink with the Father, we walk with Him, play with Him and are sustained by Him. Do you have this much intoxication? They ask how you can love the Father, the Supreme Soul, and how you can focus your mind on Him, whereas the sound that emerges from your hearts is: It’s not even a matter of how to focus our minds on Him, our minds now belong to Him. Is your mind still your own that you ask: how can I focus my mind on Him? Once you have given your mind to the Father, whose mind is it? Is it yours or the Father's? Since the mind belongs to the Father, there cannot be the question: How can I focus my mind on Him? For you there is not even the question of how to love Him, because you are constantly absorbed in love. You have become embodiments of love. You have become master oceans of love, and so you don't have to love - you have become embodiments of love. What do you experience throughout the day? You automatically feel waves of love emerging all day long. The more the rays and light of the Sun of Knowledge increase, the more waves of love rise up. At amrit vela, what does the murli of the Sun of Knowledge do? It makes many waves rise up, does it not? All of you experience this, do you not? Waves of knowledge, love, happiness, peace and power emerge and you become merged in those waves. You have attained this alokik inheritance, have you not? This is Brahmin life. By merging in the waves, you become like the Ocean. Do you continue to celebrate such a meeting all the time or have you come here to celebrate that meeting? If, after becoming a Brahmin, you haven't experienced becoming merged in the Ocean, then what is the speciality of Brahmin life? This speciality is called the attainment of the inheritance. All the worldly brahmins thirst for the experience of this spiritual attainment. Even now, all the thirsty (chatrak) children are in front of BapDada. BapDada has an unlimited hall in front of Him. Not everyone can fit even in this hall. All the children are sitting here with binoculars, experiencing a distant scene in front of them in the corporeal form. BapDada is pleased to see the easy, elevated and full attainment of all the children. Are all of you also always cheerful (harshit) to that extent? Or, is it that you are sometimes cheerful and sometimes attracted (akarshit) by Maya? You are not stuck in the confusion of Maya, are you? Confusion creates a bog. You have now come away from the bog, have you not, and are seated on the heart throne? Just think about it! There is such a vast difference between a bog and the heart-throne. What do you prefer? To cry out or to climb onto the throne? You prefer the throne. So, why do you then go into the bog? When you go close to the bog, the bog pulls you towards itself even from faraway. Have you come here considering yourselves to be new or have you come here considering yourselves to be those who have a right every cycle? New ones have come. In terms of being introduced, you are said to be new, but in terms of recognising, you are not new, are you? You have not come here as new ones to recognise Baba, have you? Have you already attained the third eye of recognition or have you come here to attain it? Have all you children who have come here received the birthday gift on your Brahmin birth or have you come here to celebrate your birthday? You received the third eye from the Father as your birthday gift. You receive the eye with which to recognise the Father. As soon as you take birth and you receive the third eye, what is the first word that emerges from your mouth? Baba! It is because you recognised that you said Baba. Have all of you received your birthday gift or are there some who are still left out? All of you have received it, have you not? A gift is always looked after very well. BapDada has greater love for each one than the next. Achcha. To such souls who have all rights, to the children who are embodiments of the experience of constantly moving along in the different waves of the Ocean, to the children who are always seated on the heart throne, to the elevated souls who constantly celebrate a meeting with the Father as well as to the children from this land and abroad, who are sitting with their binoculars, to the children of the world who do not yet know BapDada - BapDada is also giving them love and remembrance - love and remembrance to all the souls, according to the love you have, and namaste to all the heirs. You are coloured with the Father's company. You have become equal to the Father. Who is constantly seen in you? The Father is visible in you. So you have His company, do you not? Whenever anyone sees you, they remember the Father, because you are merged in Him. Those who are merged are equal and this is why you have the special canopy of protection of love and co-operation. 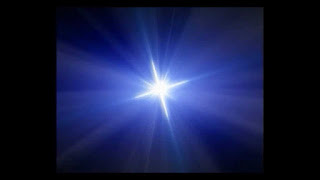 You have a special part, and a special canopy of protection has especially been built in the subtle region and this is why you are always light. Do you ever feel a burden? You are under the canopy of protection, are you not? Everything is moving along very well. BapDada is pleased to see this. 1) Are you constantly aware that, in the whole world, you are the special souls? Special souls cannot have even one single ordinary thought or speak one ordinary word for even a second. This awareness will make you constantly powerful. Always maintain the intoxication and happiness that you are powerful and special souls. “Powerful” means those who finish all waste. Just as the sun dispels darkness and destroys rubbish, in the same way, powerful souls finish all waste. Let the account of waste end and let the account of elevated thoughts, elevated deeds, elevated words, connections and relationships constantly increase. Do you experience that? “You are powerful souls” - as soon as you have this awareness, all waste finishes. When you forget it, waste begins. Your awareness automatically creates your stage. So become embodiments of awareness. A form is never forgotten. Your form is an embodiment of awareness and so an embodiment of power. Let there be this practice and this deep love. To be constantly absorbed in this deep love is the only life there is. Your zeal and enthusiasm will never reduce in any situation or atmosphere. You are those who move constantly forward, because the confluence age is the age when you attain zeal and enthusiasm. If you don't have zeal and enthusiasm at the confluence age, you cannot have it throughout the whole cycle. If not now, then never! Brahmin life is all about zeal and enthusiasm. Let there be the enthusiasm to distribute to others what you have received. Enthusiasm is also a sign of constant happiness. Those who have enthusiasm are always happy. There is the enthusiasm that you have attained whatever you wanted to attain. Stay in the intoxication and happiness that you are the elevated souls who, like Angad, constantly remain in an unshakeable and immovable stage. Those who remain lost in the sweetness of One and who have a stable and constant stage remain constantly unshakeable. Where there is the One, there is no conflict. When there are two, there is duality. With One, you remain constantly loving and detached. Let your intellect not go anywhere other than to the One. When you can attain everything from the One, why go in any other direction? You have found such an easy path! You have found the one destination and all attainments from One, so what else do you need? You have found everything – that’s all. You wanted to attain the Father and you have attained Him. So, continue to dance in this happiness and sing songs of happiness. There is no attainment in duality, therefore, experience the whole world in just the One. Perform every deed while constantly considering yourself to be a hero actor. Those who are hero actors have so much happiness, but those are limited parts. All of you have unlimited parts. With whom are you going to play your parts? With whom do you co-operate? For which service are you instruments? When you constantly have this in your awareness, you will always be cheerful, always full and always double-light. There will always be benefit at every step. What were you and what have you become? Wah me! And, wah my fortune! Constantly sing this song and also teach others how to sing it. The long line of 5,000 years has been drawn and so dance in happiness. Achcha. 2) You are the elevated souls who always remain stable in a constant stage in the remembrance of the one Father, are you not? Are you always interested in the One or are there other interests that pull you? No other interests pull you, do they? All of you have just the One. All of you are merged in the One. Since there is only One, there are no others, and so where else would you go? There aren’t any paternal or maternal uncles, are there? What is the promise that all of you made? The promise you made is: You are everything. Have the kumaris made a firm promise? You made a firm promise and you are garlanded with the wedding garland around your necks. You made a promise and received the wedding garland. You found a husband and also a home. So you have got a husband and a home. What do parents have to think about for their kumaris? That they should find a good husband and a home. You have found such a husband who is praised by the whole world. And you have found such a home where there is nothing lacking. So, have you worn the wedding garland very well? Such kumaris are said to be sensible. Kumaris are sensible anyway. BapDada is happy to see the kumaris, because you have been saved. If someone is saved from falling, there is happiness, is there not? For the mothers who had fallen, it would be said: Those who had fallen have been saved, but for the kumaris, it would be said that they have been saved from falling. So, you are so lucky. The mothers have their own luck and the kumaris have their own luck. Mothers are lucky because you are the cows of Gaupal (the cowherd). 3) Are you constantly conquerors of Maya? Those who are conquerors of Maya would definitely have the intoxication of being world benefactors. Do you have such intoxication? “Unlimited service” means world service. Always have the awareness: We are the children of the Master of the Unlimited. You are aware of what you have become and what you have received, that is all. Constantly continue to move forward with this happiness. BapDada is happy to see those who are moving forward. Remain constantly intoxicated in the intoxication of the remembrance of the one Father. What has Godly intoxication made you? From being residents of the earth, you have become residents of the sky. So, do you constantly stay in the sky or on the earth? Since you have become the children of the highest-on-high Father, how can you stay down below? The earth is down below and the sky is up above, so how can you come down? The feet of your intellects are never on the ground. Up above. This is called being the highest children of the highest-on high Father. Maintain this intoxication. Remain constantly unshakeable and immovable and full of all treasures. If you fluctuate with Maya, even a little, you will not experience all treasures. You have received so many treasures from the Father. The way to keep those treasures with you all the time is to remain constantly unshakeable and immovable. By remaining unshakeable, you will constantly continue to experience happiness. There is the happiness of perishable wealth too, is there not? When people receive the chair of perishable leadership, when they receive name and fame, they experience so much happiness. However, this is imperishable happiness. Only those who remain unshakeable and immovable will have this happiness. All Brahmins have received self-sovereignty. Earlier, you were slaves and you used to sing: I am your slave, I am your slave. You have now become masters of the self, self-sovereigns. From slaves, you have become kings. So, there is so much difference now; there is the difference of day and night. Remember the Father and become a king from a slave. You cannot find such a kingdom throughout the whole cycle. With this self-sovereignty, you receive the kingdom of the world. So, now constantly stay in this intoxication: I have a right to self-sovereignty. Those physical senses will then automatically follow the elevated path. Constantly maintain the intoxication that you have attained what you wanted. See what you have become from what you were, where you were and where you have now reached. Achcha. May you be free from any relationships of the body and, while living at home with your family, remain combined with the one Father. If you want to play a part in a pure family while living at home with your family, then remain beyond any relationships of the body. Let there be no awareness, even in your dreams, of your being a man and that one a woman. We souls are brothers and so how can there be man and woman? In the combined form, it is you and the Father. That (being a couple) is just in name, for the sake of service.However, in the combined form, it is “I and the Father”.Move along while thinking this and you will be called a courageous and victorious soul. Those who remain constantly content and happy are said to have the fortune of happiness and to be intense effort-makers.